Andrea Begley,26, from Belfast won series 2 of The Voice as she beat Mike Ward, Matt Henry and Leah McFall and earned herself a guaranteed recording contract. More of that later as we review how the final developed. The final of The Voice is a 125 minute live show with a format of each of the four finalist singing a new solo and then a song with their coach. After this the voting phone lines close and one of the artists leaves the show. The phone lines then reopen and the remaining three acts sing their favourite song of the series. The winner is then announced. The coaches opened the show performing Get Lucky by Daft Punk together and then it was in to the competition proper. 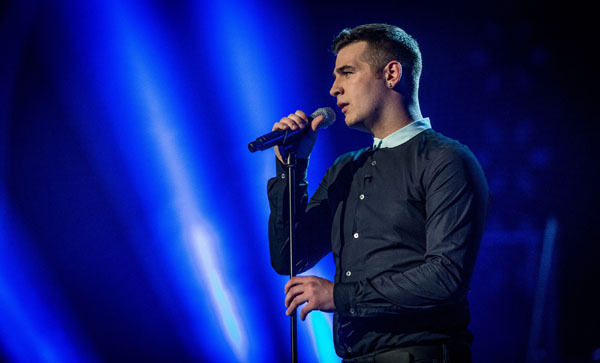 It was country singer Mike Ward who opened the competition with Suspicious Minds made famous by Elvis Presley. It was a big song to deliver and Mike sounded a little pitchy. It’s a big challenge singing live and Mike seemed a little nervous to me. He needs to raise his game if he is to stand a chance of winning. The judges were complimentary but at this stage they have nothing to gain by being at all critical as it’s the viewer vote alone that decides the winner. Andrea Begley was next up, singing My Immortal previously performed by Evanescence. 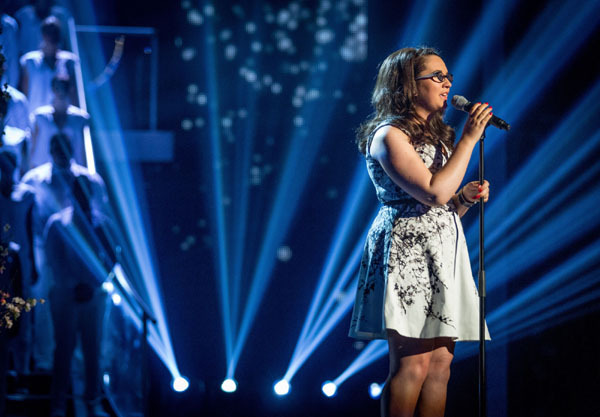 It was a polished performance and as Sir Tom Jones said “she did a wonderful job”. A “calming soothing great escape” gushed Will.i.am. 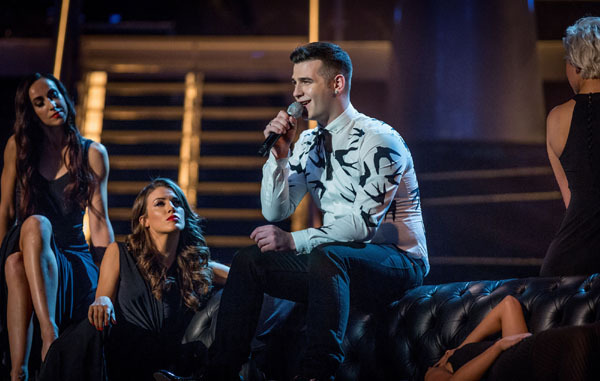 Matt Henry from Team Jessie J then performed Babylon by David Gray. 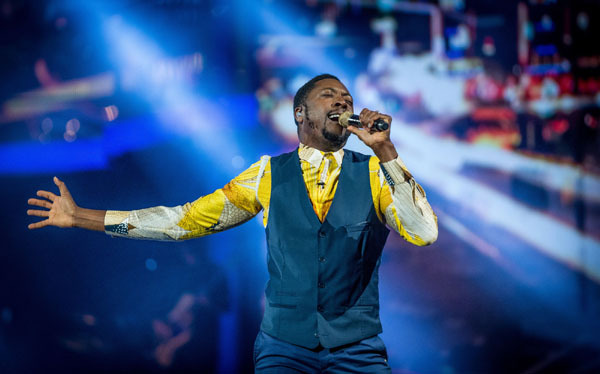 Matt started out on Team Will.i.am so he has done well to reach the final. It was a great performance of a great song. He started singing in the wings and gradually worked his way to the stage, past the coaches and towards the audience. For me he seized his opportunity to impress big time! The song was a great showcase for his talents with a gradual build up in tempo before slowing again at the end. A first class performance. 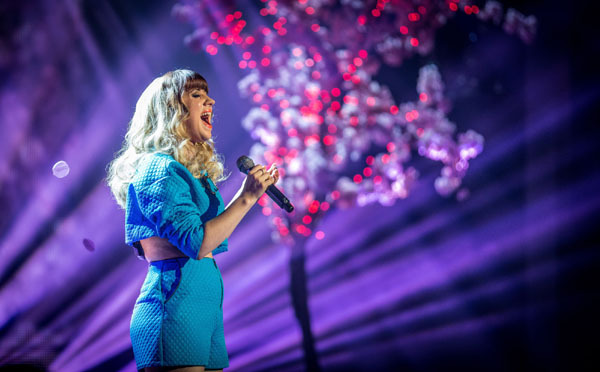 The final solo was from Leah McFall who performed I Will Always Love You written by Dolly Parton and made famous by Whitney Houston. Leah put her own spin on the song whilst retaining some of the iconic sections from the original song. It’s a song that exposes the singer with quite a vocal range from low to high required and Leah was pretty much up to the task. Some strong performances in the initial solos with Matt Henry and Leah McFall the stand out performances. 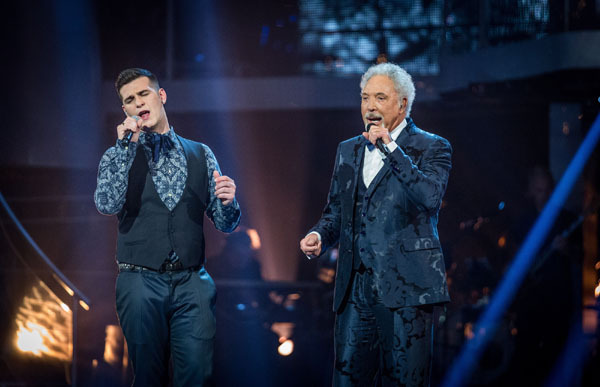 So it was on the duets with the coaches and first it was Mike Ward and Sir Tom Jones singing Green Green Grass of Home. Mike seemed more at home performing with Sir Tom and they knocked out a good sound together. 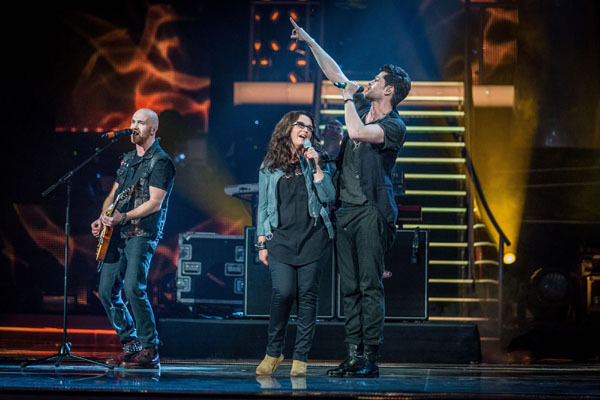 Andrea Begley and Danny O’Donoghue performed Hall Of Fame by The Script. Andrea has a voice like a bell and it rang out cleanly. Danny was clearly working hard to give Andrea street cred which her voice deserves by bringing the Script to perform with them. Will it be enough to get the teenage voters who download songs to vote for Andrea rather than scream for the Script. We will see later. You could see the excitement as even one of Andrea’s family took the chance to hug Danny before hugging Andrea. There was somone with the right priorities. Matt Henry and Jessie J sang Never Too Much by Luther Vandross. An enjoyable performance from the duet but Matt seemed to blend in rather than star in this performance. The last of the duets was from Leah McFall and Will.i.am singing Bang Bang by Will.i.am. 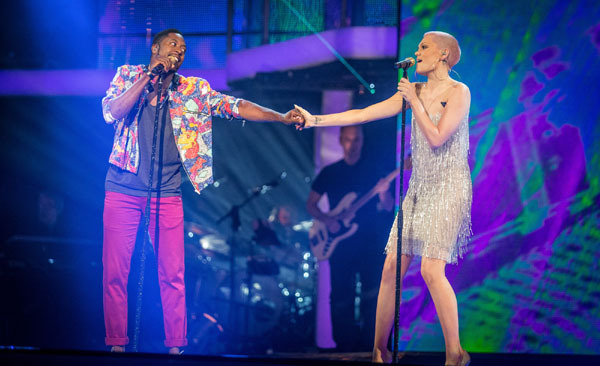 Leah looked confident performing alongside the showman that is Will.i.am and not at all out of place. “The real deal” said Will.i.am. We were about to lose one of the acts and it was a hard call to make as all had their merits. In the meantime we had a performance from Robby Williams and Dizzy Rascal. Then we learnt from Holly Willoughby (nice dress by the way Holly) who was leaving the show. It was …Matt Henry. It was farewell to Matt Henry. A shame as he was a smashing live singer but the voting viewers are entitled to their opinions. So then there were three and we were on to the acts singing their favourite song of the series. Mike Ward chose his blind audition song, Don’t Close Your Eyes previously performed by Keith Whitley. For me Mike isn’t the strongest singer but he seems very popular with the girls. So he was still in with a chance. Will.i.am decided to chose this moment to be brutally honest that Mike was a little flat in places. 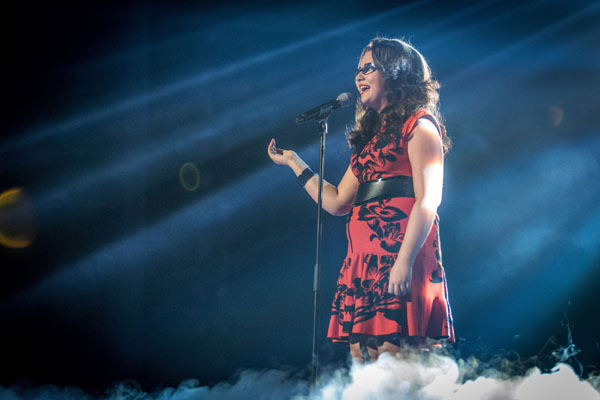 Andrea Begley also chose her audition song Angel formerly performed by Sarah McLachlan. It was a great performance and an improvement on the first time she snag it. For the first time I thought Andrea may have a chance of winning The Voice. 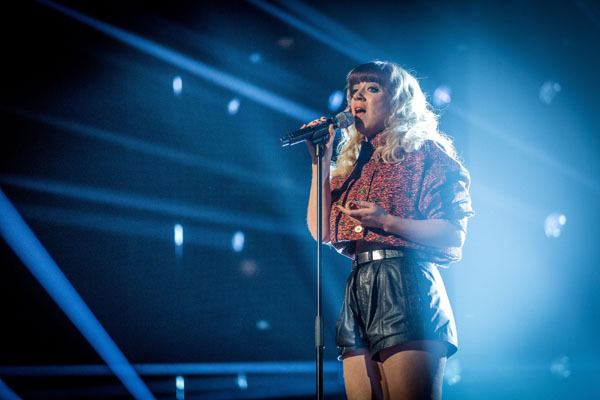 Leah McFall closed the competition with Loving You made famous by Minnie Ripperton. It was a song made in heaven for Leah and she really nailed it. Maybe a winning performance? Jessie J certainly felt so and told us. It’s not long until we find out if she is right. In the meantime, as the voting went on, we were treated to a performance by Michael Buble. Then it was time for the results and a surprise as Andrea Begley wins The Voice. I am delighted for her and pleased that she got the viewer vote ahead of Leah and Mike. Andrea for me had the best voice and as Danny O’Donoghue described her “a timeless voice” like Eva Cassidy. So that’s it for another season of The Voice and I have withdrawal symptoms already. For me the format has got stronger and if the BBC would only believe in the show and give it a regular slot next year it will do well. Congratulations to Andrea Begley. I look forward to hearing her new album in the not too distant future. See full results by week.